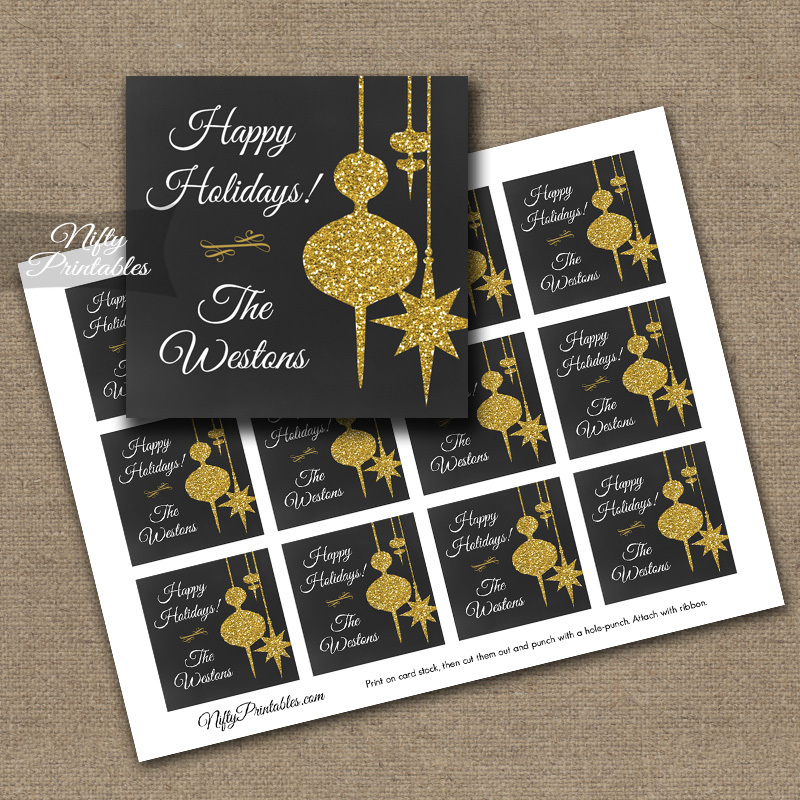 Chalkboard and gold glitter Christmas favor tags for a memorable Christmas party. You Get: 1 customized PDF file with twelve 2.25" squares on the page. Print & trim, then punch a hole to attach with ribbon. No proof needed on these! Within 24 hours, I'll email you the final file. Always make sure to check both Inbox and Spam folders for my emails, please.